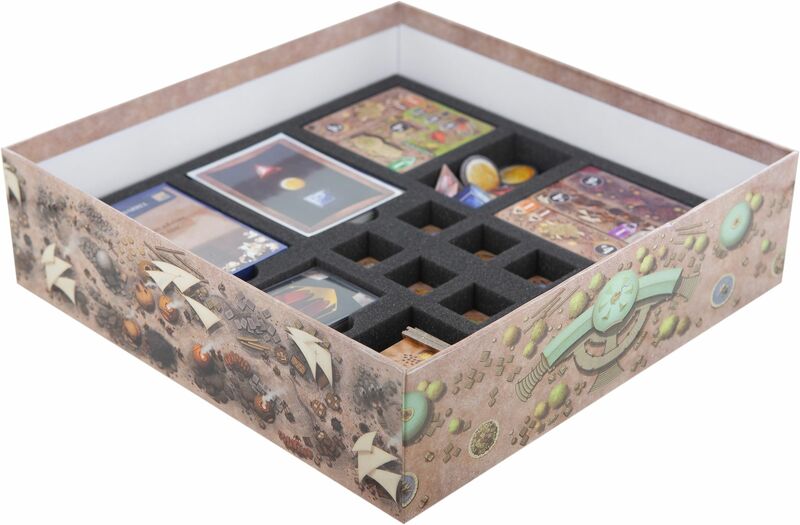 Allows you to clearly organize and safely store the game components in the original game box. If you intend to work as a city planner, we recommend to have your building components always at hand. 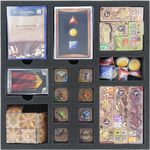 Our Organizer for "Founders of Gloomhaven" enables you to clearly sort all tokens, cards and the other small components in the orgiginal game box. 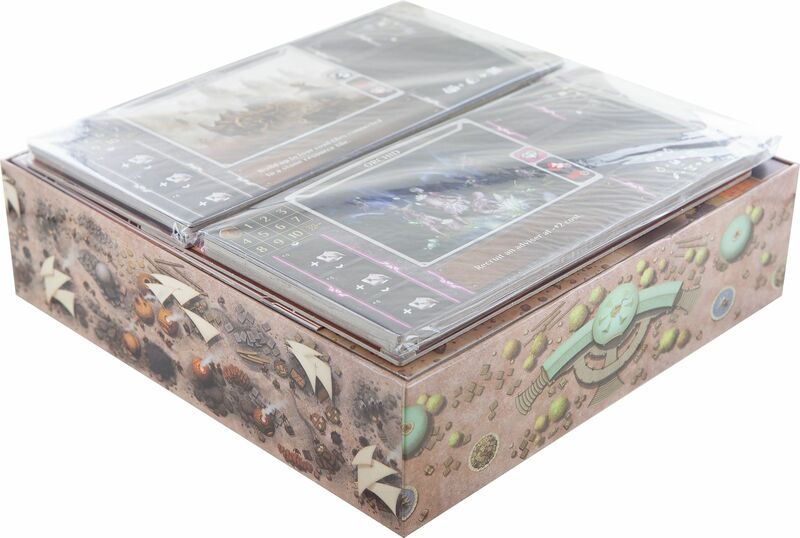 The Organizer consists of two custom cut, stackable foam trays and one matching foam topper. 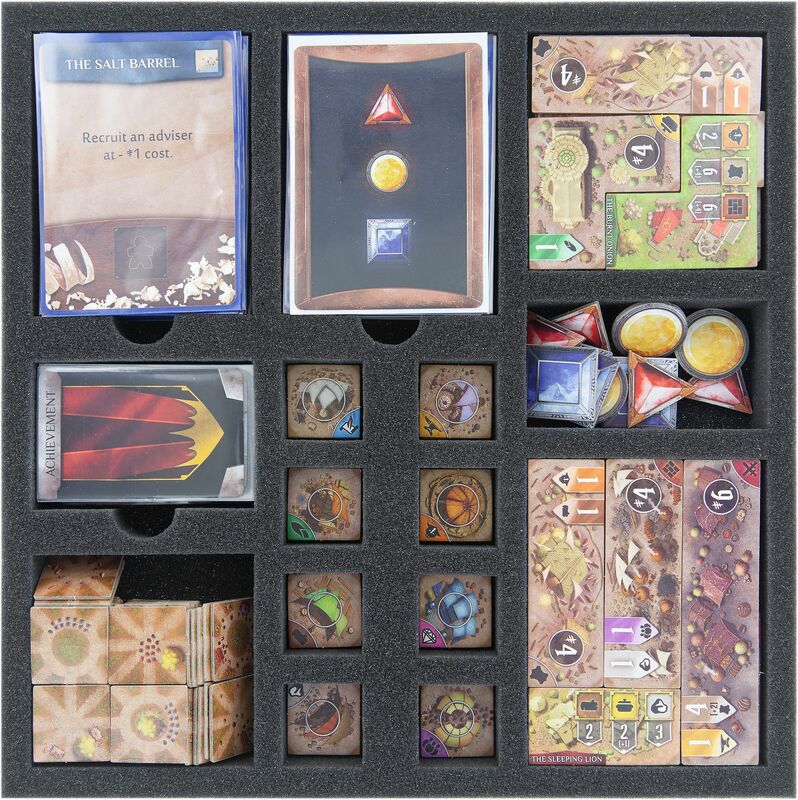 The second tray has 15 compartments and will hold (sleeved) cards, tiles, trade stalls and all other, small game components. The compartments for the cards feature finger-thick recesses for easy take-out. 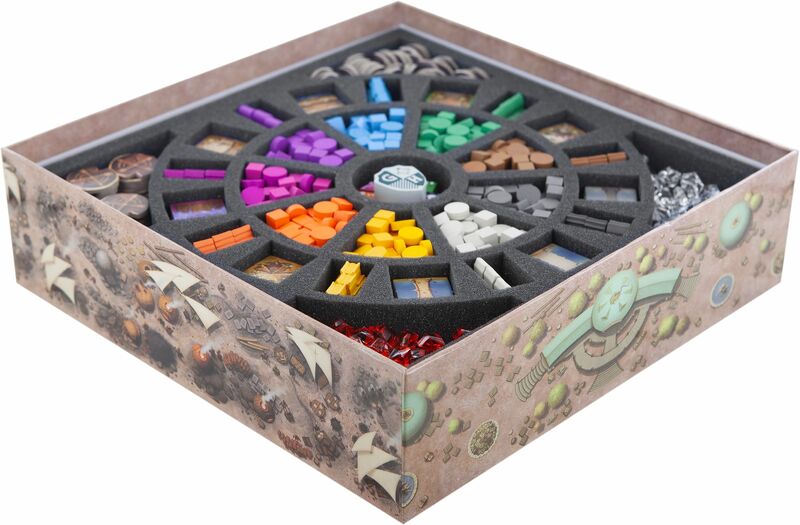 The trays fit exactly into the game box – nothing slips, nothing wobbles. In addition, the Organizer comes with a matching foam topper. The topper is placed on the upper foam tray and will thus keep the components from falling out. 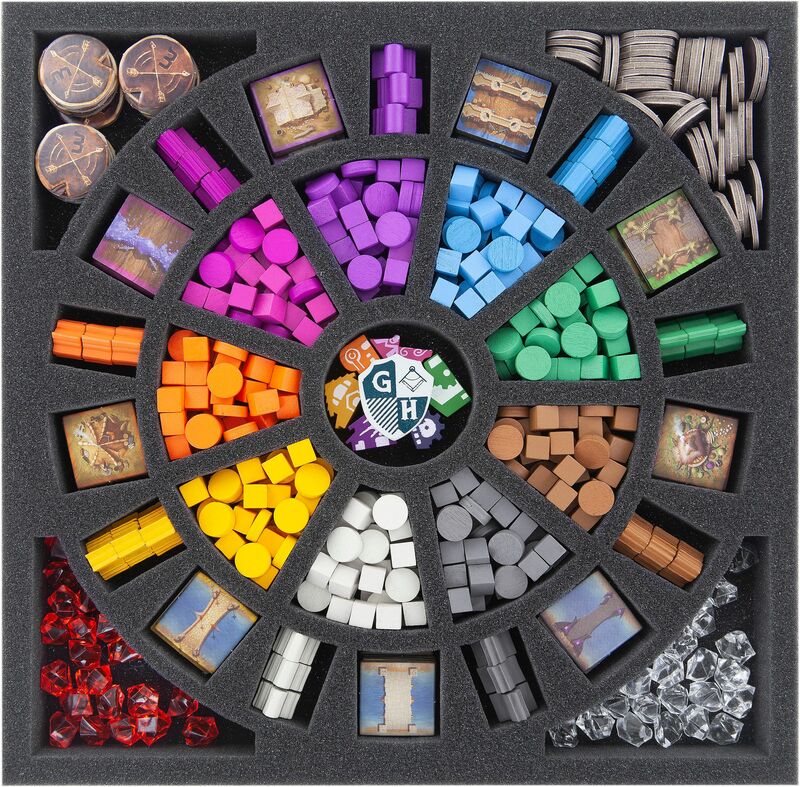 The larger game components – Game Board, Advisory Board, etc. – are to be placed underneath the trays or on top of the Organizer. The Organizer extends ca. 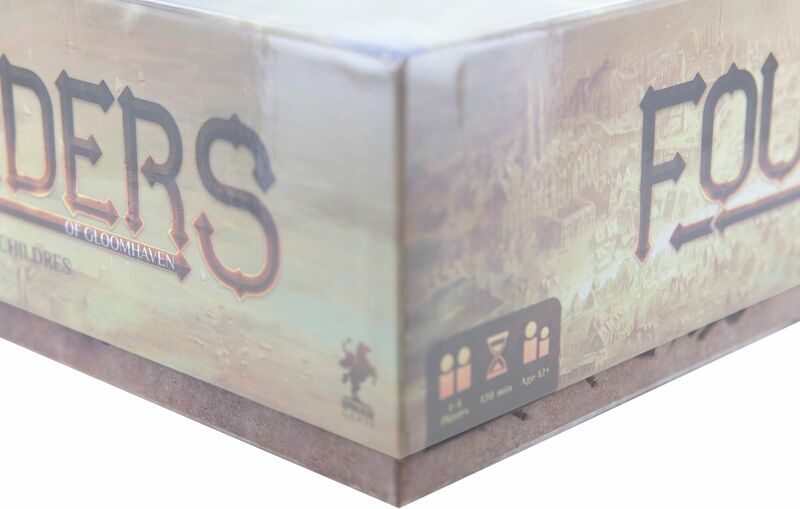 2 cm over the edge of the board game box.